Spotted this pic of Toccara attending the Russell Simmons announcement at the Bryant Park Hotel in NYC this past week. 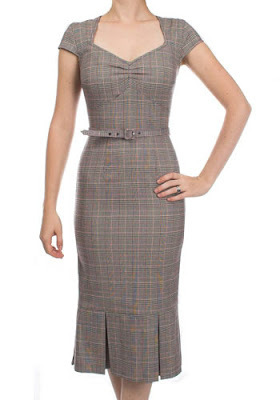 I immediately thought of the below dress from ModCloth I've been stanning for a while. I adore this dress but it looks a wee bit tight on Toccara but whatev. I still can't purchase the dress right now. It's not greater than 50% off....oh me and my rules!!!!!!! !